Win tickets to ITNY’s Home Season Performances! Four lucky listeners can win a pair of tickets to Ice Theatre of New York’s 2012 Home Season, featuring the Company in several new pieces and some favorite repertory pieces. Some guest artists will be joining the ensemble, as well as performing their solo work, including Ryan Bradley, Nicole Bobek, Kim Navarro & Brent Bommentre and Sinead & John Kerr. The shows are Friday, October 19th and Saturday, October 20, 2012, 7:00 PM at the Sky Rink at Chelsea Piers in Manhattan. To enter, send me either through email, twitter or my Facebook page the answer to the following question: what year was ITNY founded? All entries received between September 22, 2012 and October 4, 2012 are eligible. The winners will be picked at random from all correct entries sent. Click here to learn more about how to enter. On her most embarrassing skating moment: There have probably been several. Hmm . . . well, I guess one of the most awkward Ice Theatre moments is when we did one of our early galas, at the old Sky Rink, and it was one of our first ever Halloween benefit galas. And as we arrived to set up, it was announced that the building was closed. So we had all these skaters coming in, John Curry, Gary Beacom, Gia Guddat, and the company. So we begged the building to allow us in through the freight elevator, and so all our guests had to come in through the freight elevator. We tried to make it sort of a Halloween-themed environmental experience, so it all worked out in the end, but it was a little bit embarrassing to say the least. On her own start in skating: I started as a young child in northern Canada, where so many families have a rink in the backyard or there’s one on the block. So I learned on an outdoor homemade rink, and when we moved to Vancouver that’s where I started my formal training. I did all my test skating and then I competed in ice dance. And later on when my partner died in a tragic car accident, I went on to university, and at university I skated for the university skating team. And then before going into law school I auditioned for Ice Follies with Richard Dwyer, and he was the one who hired me to do a year-long tour. And I never went back to law school. On starting Ice Theatre of New York (ITNY): All of the shows and opportunities for skaters to perform are great, and I really came to appreciate big shows, although it wasn’t really something that I always dreamed of doing. But in my touring I met skaters who had concepts and desires about their performance that weren’t appropriate or that the big shows weren’t capable of embracing. So what I tried to create with ITNY was an environment for more experimentation. It’s a non-commercial venue for skaters and artists to express themselves and to create without the pressure of it having to be commercially viable entertainment. So the not-for-profit world seemed to be the right way to go, like a theatre company or a dance company, and what better place than New York? In some ways it wasn’t the most logical location because at that time there was only one indoor rink, and in terms of training there was just that rink. But the attitude in New York, which is why so many people are attracted here, is that, oh, you want to create an ice theatre, hmm, why not? It’s not, oh, why are you doing this, it’s: why not? So the support that I got was an integral part of the company’s success. It takes a village, and in this case it took a city. On John Curry’s ice theatre company: In terms of virtuosity, it was a great inspiration. It was sad when the company closed, but we did inherit a number of the performers, and also John taught class with us and performed with us over two years, which was a great gift to the company. But nobody yet has gotten back to the Metropolitan Opera house [laughs]. When I created the company, I thought more of John’s company being in an opera house and ITNY being in the Academy of Music, like we were more of the Next Wave Festival. But either would be great. On getting the company started: It was a serendipity of interests on a number of fronts. I certainly didn’t have enough money to launch the venture, but we received free ice from the Sky Rink from midnight until 5 am, after whatever hockey teams had reserved and paid for the ice. So in the beginning we started at three nights a week, usually around 12:30 am. Nobody got paid, and we used to joke that we wouldn’t recognize each other in the light of day. And we used to have taxicab drivers and other such street people coming from that area to watch, at that time it was a little rough around there. So it was quite an adventure. And that led up to our show, the Hard Edge show with the work of Gary Beacom, who is really an ice artist. But we were also very fortunate to have John Curry skate in the show, and after his company folded we had a number of people who came to the show to see John but who left knowing a little about us and a lot about Gary Beacom. And that was our first New York Times review from the pre-eminent dance critic Anna Kisselgoff, and that review ended with her saying that ice theatre was onto something and deserved greater support. So that was very very helpful and allowed us to break some barriers within the dance world and the funding world. We didn’t have medalist skaters, mostly teachers at the ice rink who still wanted to perform, and since then we have been blessed with skaters from all parts of the world. On the company’s programs: We started with off-ice classes for the company and any pros who wanted to come along. And those rehearsals led into our first performances, in March of 1985. And in fall we did our Halloween benefit, which has become the seed of our fall benefit. And that segued into classes that the rink would pay us to teach, with JoJo Starbuck and Ken Shelley, and recreational skaters of a certain level would come and take those classes. And then a number of years later we started a summer program, where three times a week we would rehearse pieces for the upcoming season, but we would also invite young children to participate. And they would do off-ice classes with different dance choreographers. That’s what started our apprentice program, for young skaters to do ensemble work and to learn about performance skills. 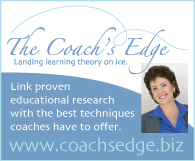 Whether they went on like Sarah Hughes to become an Olympian, or to be a show skater, or to teach, in each situation performance skills are very important. And a number of years later we started our school outreach program, where we invite schoolchildren to come and watch a short performance that includes up and coming ice artists, because children like to watch children. And then afterwards we give a free skating clinic, the basics of skating, and if there’s students who are better trained they can get instruction on more advanced moves. But it’s meant to be an outreach both for the company and for skating. On running the company with a small staff: I think it’s a combination of being very dedicated, and there’s an element of heroics and determination. The Dollywood opportunity [the shows ITNY produces at the Dollywood theme park] is the first ever ice performance at Dollywood, and of course it’s a paid performance, and the reason that’s important is because of the work on stage, and because we have the expertise. It has the integrity of ice theatre but it’s also playful and lively. The City Skate series are free concerts, taking advantage of the outdoor opportunity at Rockefeller Center. That’s part of branding the company and exposing the work of the company to a wide and random audience. And that series has now expanded to Bryant Park, and there’s a new rink at Peter Cooper Village so we’ve started to do concerts there, as well as at the World Ice Arena in Queens which is the old World’s Fair site. On the company’s schedule: About 50 performances a year, not including Dollywood. There’s four shows a day there at the height of the Christmas season, with thousands of people. There’s a core group [of performers] here that sometimes changes. We have our class on Tuesdays, and our rehearsal period is about three weeks before our gala in the fall. And there might be twice a week rehearsals before a performance. On auditions: It’s a rolling schedule. Usually in the fall or spring we see more skaters, because they are coming to the city to go to school. Other times, if you send a link to a video, along with a resume, that’s a good way to go as well. Dollywood has 12 spots, and there’s a core of 10 to 12 [skaters] here in the city as well. Usually every month we get inquiries, and there’s a lot of gifted skaters who are interested in deepening their skills. Unfortunately we’re not at the point where we can hire people on an ongoing basis, so if someone has a full-time job or is going to school, it can be tricky, but we try to find a way to develop their skills and fit them in during our performance season. On putting pieces together: For the home season there’s about 10 pieces. That’s a lot for the dance world, but the pieces tend to be shorter because of the aerobic nature of skating. Usually 10 makes about the hour and fifteen minute length of the show we strive to present. And we always strive to commission pieces from the dance world or from performance artists, as well as developing our ice choreographers, and profiling pieces from the repertoire. On funding: It’s just perseverance. It’s a project you have to be passionate about. And I do believe in this kind of venue, in surviving if not thriving [laughs], because I think there are a lot of beautiful things that can be done that are non-commercial. And in New York, although you are vying against a lot of other organizations, we are still the only ice not-for-profit performance company here. There have been a lot of sacrifices from many people in order to keep things going. It’s very hard. You might have to be crazy [laughs]. On volunteers: How many? Not enough [laughs]. As our programs have expanded, we need more volunteers. We also need support to support those volunteers, so it’s an expanding feature of our activities as a not-for-profit. When people volunteer they need to feel important, too, if they have an interest in the project. But it’s an area we’re currently examining and that we need to replenish. You also have to let people cycle out without taking it personally. On her favorite piece: I have so many, but I’d have to say the Ann Carlson piece that was commissioned by Dancing in the Streets, and is a ten-minute Tibetan chant. It’s minimal movement, but it creates a very beautiful and meditative pattern on the ice. 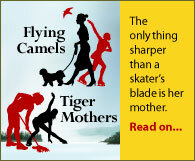 And it certainly challenged the sensibility of other skaters. You know, everything doesn’t have to be Olympic – when they get on the ice to warm up, they’re like greyhounds at the racetrack. And as a part of the warmup for that piece, we were encouraged to get on the ice and do a walking meditation around the rink. So it was quite powerful to see the eight skaters doing a processional around the perimeter while in the center everybody was racing around and doing all sorts of acrobatic activity. That was one of the early art/dance pieces that showed that you can do something very beautiful with a powerful concept and visual patterns. On the 2012 gala featuring Richard Dwyer: The format of the evening is pretty tried and true. It’s a short performance at the rink followed by a cocktail and sit-down dinner at the Lighthouse which is a beautiful event centre overlooking the Hudson River. The performance includes a piece by our new artistic director, Douglas Webster, along with a re-setting of Inclusions, which is a piece by Alberto Del Saz, the new artistic director of the Alwin Nicholais company. And our special guest artists are Ryan Bradley and Sarah Hughes. Sarah was an apprentice to the company when she was eight years old, so it’s nice to have her come back and have her skate as an Olympian. And she’s a great fan of Richard’s, and as I’ve found out so is everybody [laughs]. And we’re really going to be profiling company members that have expertise in the ice dancing world, not all who live in New York any more but who have trained with the company in past years. Kim Navarro and Brent Bommentre, Tyrrell Gene, Joel Dear, those people have skated with the company and are coming back. And everybody is going to be involved with some ensemble pieces, which is very exciting to have that level of skater in that. And Sinead and John Kerr are going to participate in some of the ensemble pieces. And we’re doing a tribute to Richard’s Mr. Debonair, and the four Dwyer Girls are going to be Linda Fratianne, JoJo Starbuck, Tai Babilonia, and Dorothy Hamill. Another sort of serendipitous event for this gala is that we have been bequeathed one-third of the Charles Schulz costumes from the shows that they did at the Santa Rosa rink that Charles Schulz owned. Some of them were done by Peter Max, the artist, and some of those are going to be used in this show. We’re very grateful for that. On Richard Dwyer: As a performer, to see his work ethic — when I was performing at Radio City Music Hall, two- and three-show days, we’d all drag in in the morning, and who would be there already, practicing? “Hi, girls!” He certainly walks the walk, and he personifies joy on the ice. That I find very infectious. For competitive skaters to see that and to understand that it can be joyful as well, that’s very important. On his edges class: It’s meant not only to cultivate skating technique and performance qualities, but also to cultivate community. It’s a social opportunity for people to gather and come together and share an experience, and we rarely get to do that in skating because we’re skating pairs or solo or we’re competitive. And class is a moment where people get to find a joyful sense of community. And from the many times I’ve taught it, I still get emails from people saying how much they loved it and how much they miss it as a way to start their day. On his most embarrassing skating moment: It’s one that is constantly brought up by Todd Eldredge of all people, thank you, Todd [laughs]. It’s from when I was competing, and I was competing at the Philadelphia Skating Club and Humane Society, and they don’t have boards. I was in junior men and I had a big triple loop that I would do from a honkin’ mohawk, and I would skate a million miles an hour into it. I was flying around the rink coming into the mohawk, across the short axis of the rink, and my right foot slipped on the back outside edge, and I went flying so fast off the rink that I rolled right under the judges’ stand. I went through the cloth around the judges’ table, you know, like the banquet tablecloth?, and I had to lift that up to crawl out, I was literally at the judges’ feet and had to crawl back onto the ice. And I was so nervous and shaking that I fell one more time in the program, I wiped out on the sit spin. And Todd, we were competing against each other at the time, and he doesn’t let me forget that moment [laughs]. It was hilarious for sure. One other funny thing was where I was in a show and I fell off the stage. And there were no ways to get back up on the stage, it was very high up there, and so I had to find a way to crawl back up there, and this was at an amusement park in front of thousands of people. It was embarrassing for sure, but you just have to learn to laugh at yourself. On his skating career: I grew in a small town in New Hampshire, North Conway, and it was a very winter recreational town. I started off in every winter sport and competed in Alpine skiing and then got into Nordic skiing. But when the Carpenters’ We’ve Only Just Begun was playing and I was on the ice, I was in bliss because of the music, and the feeling of skating just exploded for me. I started skating very late — I was almost 13 before I got into any kind of private lesson. But I loved all the solitary sports of winter, and skating and music, and it was just something I felt immediately, and I was very grateful to find it. But my parents had to drive me to Yarmouth and Augusta in Maine, and then every other week to the Skating Club of Boston to have a lesson down there. And it was a gift just to be able to see that environment, and I also spent time in Lake Placid in the summer. But by the time I was being coached by Audrey Weisiger, I was in tenth grade, and I was a juvenile man. And back then you couldn’t even compete if you were a juvenile man and you were 15, because they didn’t have open juvenile then. So it was always that awkward moment of being a very tall person around really short people [laughs]. But I was not much of a competitive skater, I went to Nationals just one time, in novice. I quit very early after that, I did get my tests, but I went to college at the College of William and Mary. And Busch Gardens was there, they had an ice show, it was a Willy Bietak show at the time. And I was in that show in 1987, it was a summer show, and at the end of the summer they offered me a part in their show Festival on Ice, which became Broadway on Ice, and I was cast as a principal skater in that. On performing in Broadway on Ice: It had Randy Gardner and John Curry, and I could not believe that I was part of this group of people that I had so much respect for, that group of people that were at the 1980 Olympics. I was blown away by the talents that were there at that competition, and I was in that small town, just thinking, how would you ever have the opportunity to do that? I don’t think I really knew what competitive skating was. Thank goodness that Audrey taught me a really great double axel that’s earned me some money [laughs]. On starting as a choreographer: One of the things that Audrey always celebrated in my career was my musicality and my edges. She tried to find special pieces of music for me, and I was always the kid at the ice rink who was making up programs to someone else’s music [laughs]. And I had champions like Moira and Audrey and Judy Blumberg. After I finished college I moved to New York to act, and a lot of my choreography comes from a dance background, but in college I studied English literature and in New York I studied acting, and so a lot of my ice choreography comes from a place of story telling — a place of emotional life and of character, and patterns and relationships. But I see myself primarily as a story teller, and I learned so much from doing Disney on Ice and Holiday on Ice, and getting to see how those story telling shows are put together. And I’ve had the opportunity at ITNY to work with dance choreographers, to pick their brains and see different ideas, and to watch dance in New York. But I love what skating provides, the glide and the flow and the movement and patterns that we can create — and the designs we can create in ensemble choreography. In Disney on Ice, when you design, it’s often in an arena space and it’s like you’re looking down from above, it’s the patterns that you create, the way that people are moving in interesting ways. On joining ITNY: I had decided that I was going to go back to college after Festival on Ice. And I was offered one more job, a movie called Carmen on Ice being filmed in Spain with Katarina Witt and Brian Boitano. And I was cast in that movie with Val Levine, who was in ITNY and was from New York City. So after I graduated from college, I was talking with Val, and she said, move to New York, there’s this great little company called Ice Theatre of New York. You’ll be able to skate, you’ll be able to act and do all the things you like to do. So I showed up in New York City like so many other people, in a sub-let apartment in a little neighborhood that is now unaffordable but was pretty gritty back then [laughs]. And I came to class, and pretty soon after Donlin Foreman, who was a dancer with Martha Graham’s company, was choreographing a piece for ITNY and I was cast with Beth Woronoff to do this duet called Black Ice. So that was sort of the beginning. And then in 1996, I had been choreographing competitively, and I asked Moira if I could choreograph this piece to Appalachia Waltz, played by Yo Yo Ma and Edgar Meyer and Mark O’Connor. And she said, this is so interesting, this woman named JoAnna Mendl Shaw has also proposed to make a piece to that same music, why don’t we collaborate. And JoAnna was from the dance world, and she’s on the faculty of Julliard. So we created the piece together, and I asked Judy Blumberg to skate with me. And that was the beginning of my choreographic experience with ITNY, and I think almost every year since then I’ve choreographed at least one major piece. Some better, some worse, I can think of at least three that I’d put aside [laughs], but I can think of at least six that are very special to the community of ice skaters and to the people that skated in them. On his favorite piece that he’s choreographed: I do. I think my favorite piece, and I think it comes so much from the meanings of it as well as the response to it, is called Departures. It was after the World Trade Center fell, I had this vision — in the night time I had gone up on the roof, and all that you saw was smoke, an ascension of smoke from where there were buildings, and all the smoke was moving over to New Jersey, sort of all in one direction. And I just saw the image of so many souls in the smoke, the movement of energy, and I had the vision of the ascension of angels. And the idea of the piece was that there was one angel having difficulty letting go, of a cast of six women. And it was a special cast. Florentine Houdiniere, this wonderful French skater, portrayed the prima ballerina angelic role, and with the other five women, there was a chemistry in the group. And ITNY had lost one of their board members, a founding member, Clarin Schwartz, in the World Trade Center. And it just was a piece that allowed healing for me, having seen that live, not on television, and for the people who have skated that, it’s been special, and it has a lot of meaning. On the 2012 gala: I’ve created two new pieces. One is a thirteen-minute suite inspired by the music from The Artist, it’s sort of a sweeping ice dance with a romantic theme. It’s a wonderful Gatsby look. And the second piece is called Horizon and it’s three couples. It’s sort of a repetitive movement about looking out at the horizon, and it’s a beautiful edging piece. And we’re re-staging a piece that Nicole Bobek is going to skate in. And of course Richard Dwyer is skating and I think everybody is really excited to see Richard and his famous Dwyer Girls, and the men who come to support him. On what’s next for him: The gala, and we are putting the Dollywood holiday show back together for a second year. And I have a project I’m developing for ITNY for Strawberry Banke, which is this museum like a living museum in Portsmouth, New Hampshire, one of the first communities in New England. It has a big open field with all these historical buildings and people walking about in costume. We’re talking about putting an ice rink in there and creating a winter carnival for 2014.